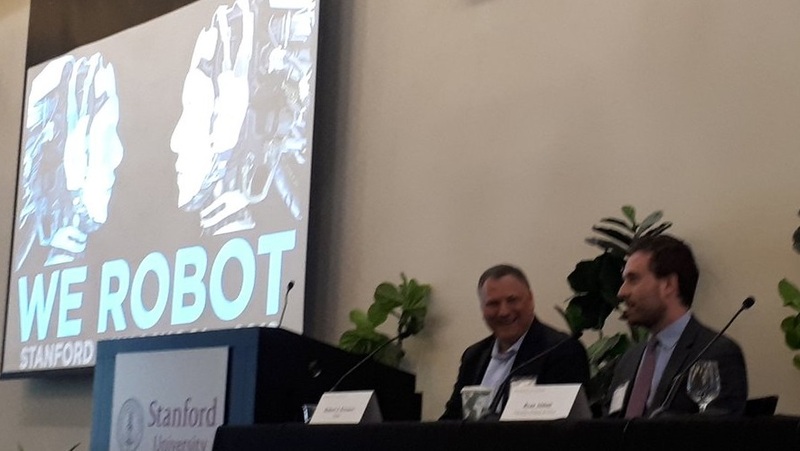 On 13–14 April 2018, Professor Ryan Abbott was an invited speaker at the 7th Annual Conference on Robotics, Law & Policy (We Robot 2018) at Stanford Law School. Professor Abbott discussed two of his forthcoming papers, “Should Robots Pay Taxes? Tax Policy in the Age of Automation”, forthcoming this month in the Harvard Law & Policy Review, and “Everything is Obvious”, forthcoming in the UCLA Law Review in 2019.